How to get there: The normal access is via the small town of San Luis to the Taylor Ranch. 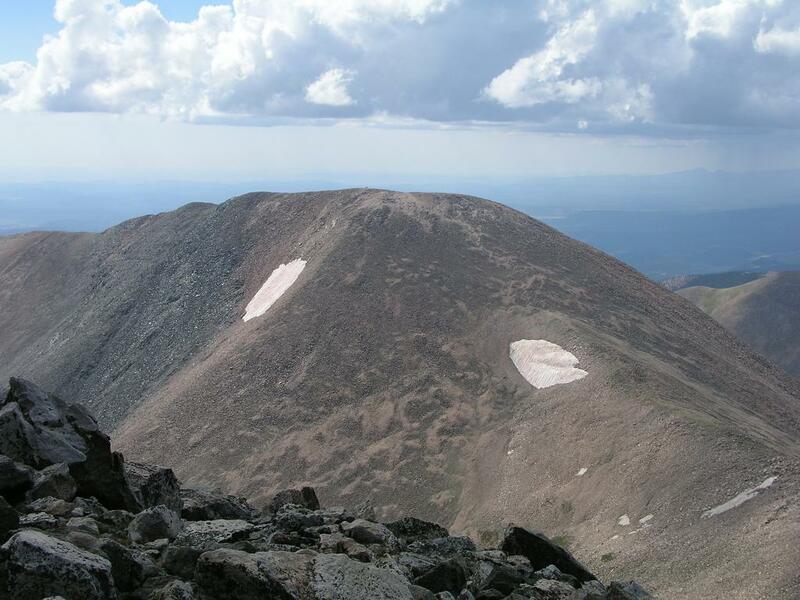 See a more detailed description under Culebra Peak (4282 m). 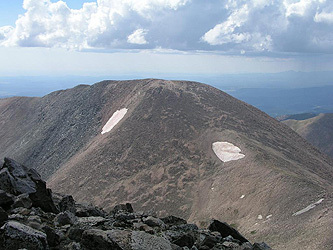 Route description: This peak is almost always climbed together with Culebra Peak. 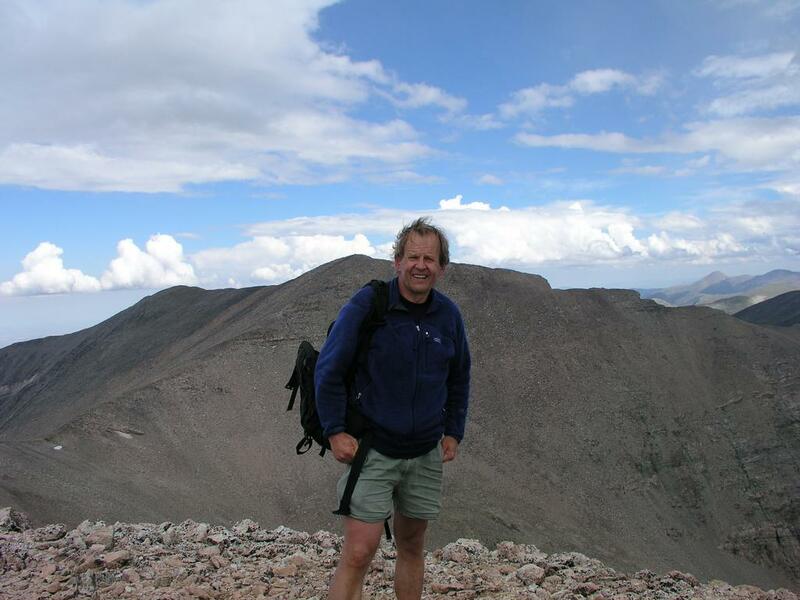 This description will start from the summit of Culebra Peak. From the summit of Culebra one can easily see the nearest peak connected by a saddle, this is Red Mountain. Actually, the saddle has a small hump in the middle, thus forming two saddles. The route descends to the first saddle, from here one can proceed directly over the hump to the second and lower saddle or one can traverse the left side of the hump avoiding a small uphill. From the second (lowest) saddle there is a fairly visible trail that zig-zags up to the summit of Red Mountain. The return hike can follow the same route back across Culebra or stay a bit more to the climbers left and reach the Culebra main ridge via a traversing ascent. Comments: I did this hike directly following the climb of Culebra peak. The weather looked a bit unstable and we (the hikers from the CMC group that reached Culebra first) hurried on to Red Mountain. This was not a moment too early as lightning flashed across the sky just south of the mountain when we reached its summit. I left the summit quickly and traversed back to the Culebra ridge, avoiding the summit. See more complete comments under the Culebra entry. Red Mountain, seen from the summit of Culebra. Me on Red Mountain, Culebra behind.